Khaki jumpsuit: Topshop. Blue t shirt with animal print: Beyond Retro. Black leather jacket: Topshop. 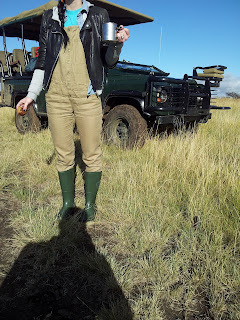 Wellies: Loaned to me by the safari lodge we stayed in.